I am devoted to dentistry and to my patients. Their concerns become my concerns; their satisfaction is my satisfaction. My patients push me to do better and better every day. Growing up with a mother in the healthcare field, I witnessed the lives she improved because of the gentle, compassionate care she provided. "Everyone was welcoming, accommodating and informative. I was able to see the doctor on my scheduled time slot! Thank you doctor and staff for giving me a warm welcome "Stacy S.
“Excellent as always. Great dentist and staff is always courteous and professional.”Gary G.
“I was a first-time patient and when I came in I was in pain and had to do paper work. They saw that and took me right in and took care of my pain and left the paper work for later. Great service on my end. Thank you”Mark R.
“Very friendly staff, makes you feel comfortable to be there. Went in for the cleanup. 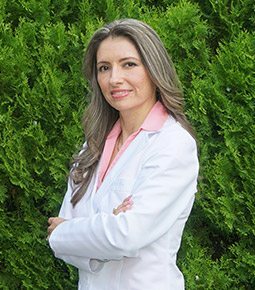 good experience.”Manuel C.
“She is the best dentist! Great office very friendly.”Akram K.